Recently, I had a few discussions with colleagues about what characteristics are needed to be an effective athletic coach as well as an effective classroom teacher. Many athletic coaches on the high school and collegiate levels come from strong educational backgrounds which seems to be a natural fit and in turn can provide student athletes with a structured, respectful, challenging, but also positive learning experience. Effective classroom teachers also have this same impact on their students. From my experience as a teacher, coach, athlete, and school administrator, I can honestly say I have seen a wide-range of teaching and coaching styles with most having a very positive impact on students. Unfortunately, I have also seen several ineffective practices that have caused some very poor learning opportunities for students. Being a teacher and athletic coach can be difficult but are also very rewarding jobs that can play a pivotal role in the growth and development of young men and women. I would argue that the traits needed to be an effective teacher and coach are the same and great athletic coaches are also great teachers. Becoming a great teacher and athletic coach takes a lot of time, dedication, patience, professional development, and reflection. We can’t expect new teachers or coaches to be perfect. They are sure to make mistakes and will need positive mentoring in order to reflect on those mistakes, make the necessary changes, and continually grow as a professional. In my opinion, schools need to be more consistent in their review practices for both teachers and coaches. Should schools have a double standard of what they think is acceptable teaching practices vs athletic coaching practices? I don’t belive so. I believe students should see the same consistent professional behavior expected in classrooms as on playing fields. I am not suggesting they need to be 100 percent the same. Athletic coaches do sometimes need to raise their voice a bit more at the right time to help motivate athletes during particular situations or once in a while the head coach may need to respectfully challenge a referee’s call. I don’t belive anyone with extensive playing or coaching experience expects athletic coaches not to get heated once in a while but poor sportsmanship and repeatedly using vulgarity in front of kids should never be the norm. Kids watch and often emulate what is modeled for them. We can’t expect students to act one way if the adults are doing the opposite. Effective teachers and coaches walk-the-talk. I am not talking about wins or losses here or just test scores. Being effective means much more than that. It is helping develop productive men and women that learn values, responsibility, empathy, leadership, cooperation, problem solving skills, teamwork, sportsmanship, resiliency, conflict resolution, dealing with authority, time management, self-discipline. and communication skills. Employers are looking for many of these skills. As stated earlier, teachers and athletic coaches both have rewarding but difficult jobs and often are under the microscope to constantly win games or improve standardized test scores. There also is more parental scrutiny these days which can sometimes lead to political decisions being made in an arena that shouldn’t have a place for politics if we are honestly making decisions in the best interest of kids. In my opinion, if a teacher or coach is working hard, demonstrates continuous growth, acts professionally, makes decisions in the best interest of students, communicates well with parents and with their supervisors (not saying always agrees with them), and is a positive role model, then schools should uniformly support them. When we let wins/losses or test scores sway our judgment and not look at the other components of effective teaching/coaching, I feel we are doing students a disservice. I believe one should hire a passionate teacher that also loves coaching vs. a passionate coach who happens to just need a teaching job. 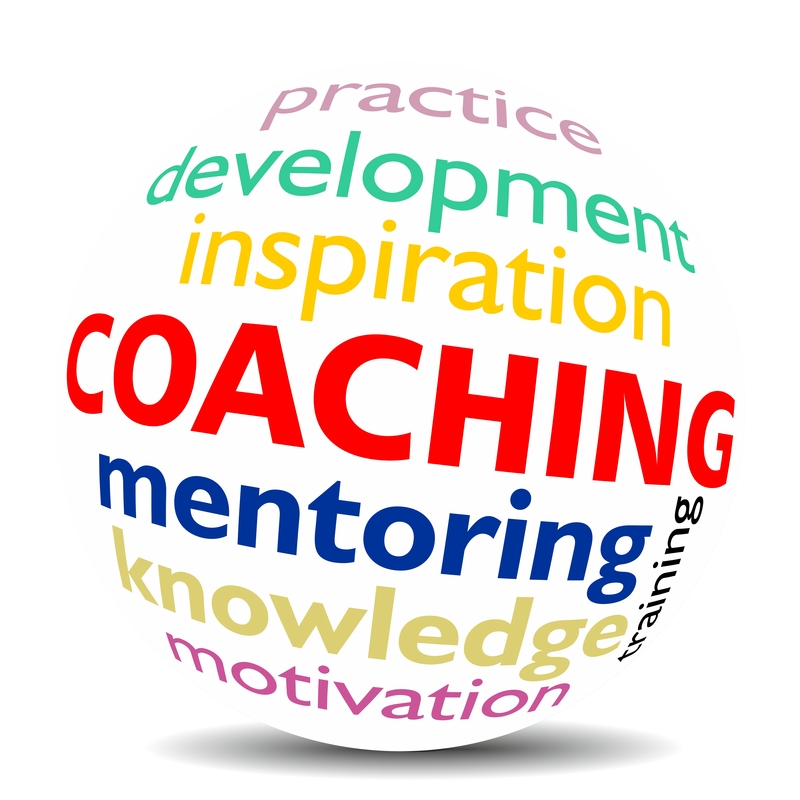 In my mind, effective coaches are also great teachers. I want to thank my friends and colleagues for providing me with a quote from their experience on this topic. They are all very successful Massachusetts School Administrators that also have extensive athletic coaching and teaching experience. All of these excellent professionals continuously work to improve student outcomes through effective teaching practices, ongoing professional development, and community engagement. Their input is truly appreciated and are great resources. Bill Burkhead- Principal Monomoy Regional High School– “I truly believe athletics in America is extremely vital to the growth of our children. I do not think we should lessen the value we place on the importance of athletics and sports. I do believe, however, that we should make a societal shift to place greater emphasis on the importance of academic success.” See Bill’s Blog on –What can Academics learn from Athletics? It has been a few years since I have posted an Assistant Principal Corner and believe my perspective has changed a bit since first becoming an Assistant Principal. For those that want to switch from teaching to administration, it is a great career change but is not for everybody. Not everyone can be a great teacher and this goes for administration as well. From my experience and interactions with many colleagues, I would like to share a few thoughts on what I believe it takes to be an effective Assistant Principal. A very wise and seasoned veteran administrator once told me that if an AP tries to be liked by all, they probably will be ineffective and never be able to promote needed change and growth. My thoughts below are in no particular order. Be visible and support the kids. Saying you support students and actually being at their events are two separate things. Students are smart and know sincerity when they see it. Yes, this is a time commitment but is part of the job and is needed to build relationships. Be an instructional leader. The days of just dealing with operational issues within the building and discipline are long gone. How do you help your principal with his/her academic vision and how do you initiate new ideas/strategies to promote instructional growth? Model what you want to see in the building. If we expect students and staff to take educational risks and try new things, we must be willing to do it ourselves. We can’t expect growth if we are not willing to keep learning and sharing what we learn with others. Change is always difficult but necessary so students can be better prepared for an ever-changing global society. Be a transformational leader. Be transparent, have integrity, demonstrate professionalism, and be loyal. All of these leadership traits are extremely important. Loyalty must be given and also received. Leadership teams must be loyal to each other and not get caught up with school-wide politics. Your decisions must be made in the best interest of your students but support your teachers and staff. If they make mistakes, discuss it behind closed doors. Praise in public but criticize in private. Your decisions will not always be favorable and surely will alienate someone, but you can’t worry about trying to please everyone so just make the best decision according to the information at hand and from your experience. No two people look at things exactly through the same lens. 7. Constantly work on being an active listener. This is an important skill that some people are better at than others. I believe we can always improve in this area but it takes practice. Certainly, an area I am still working on. 8. Don’t be afraid to ask for help. Developing a strong professional learning network (PLN) can provide innovative ideas to create new practices as well as support from colleagues that may have faced challenges that you are presently dealing with. Being a school administrator is not easy so seeking advice from others is a must if you want to be successful. Social media such as Twitter is an excellent resource but also face-to-face opportunities such as committees and conferences are very beneficial as well. As a former athlete, I truly understand the dedication needed to play competitive sports. This same dedication is also needed for other high school extra curricular such as band, drama, and a host of other clubs. Anything worth doing takes dedication and commitment. Students should be encouraged to participate in as many extra curricular activities as possible that they are able to handle (this varies greatly among kids). It is selfish to influence a student to just focus on one thing when they only get one chance at high school. Very few will play major college sports or get a scholarship. Supporting students to try various activities helps them learn more about what they like or dislike. Parents and educators need to support their curiosity and help facilitate their growth. Why are kids quitting sports? It is a fact that educators are hearing the words positive growth mindset, GRIT, and resiliency a lot these days but what does it all mean? I don’t remember these words being emphasized so much several years ago so why now? As a child, it was instilled in me that hard work leads to success, and I was accountable for my actions which were not always positive. A phone call home meant that I was in trouble not my teachers or school administrators. It was not acceptable coming to school or work late, not doing my homework, and not studying hard. I learned that it was my actions that led to consequences. As a typical teenager, I certainly disagreed with certain decisions based on my actions, but I owned them and the adults in my life did not allow me to project them on to others. I wasn’t rewarded for not living up to certain obligations and expectations. Parenting and teaching students isn’t easy, but we must educate them about character and perseverance when things go wrong. Students may want the best grade with the least amount of effort but what are the long term consequences for this? It seems there is a definite disconnect between high schools and colleges. Many high school graduates need to take remedial courses because of sub par reading and writing skills. Is this because they are being passed through the system so graduation rates look higher than the actual skill level of the students? We have many hard working and bright students in the U.S. that compete on a world-wide level but many students are not reaching their potential. So what do colleges say about declining student resiliency? We also have a huge increase in mental health issues and according to the 2014 Pisa Study, students in the United States are below average in resiliency>>Study on resiliency-student input. The definition basically is one’s ability to recover quickly from misfortune without being totally overwhelmed. An example would be a student gets a C on a test that they studied hard for, discussed it with his/her teacher, listens to feedback, and then proceeds to work harder or smarter to do better on the next test. Poor resiliency would be blaming everyone for this grade, shutting down, making hurtful statements, and not working hard to make necessary changes. Teachers often complain they feel pressured not to give poor or low grades. Some do this to avoid any meltdowns or calls from angry parents which only enables the poor effort. Sometimes the teachers are wrong in their grading practices and this can usually be discussed in a professional manner, but what does it teach the child if every time they complain, rant, rave, they get their way? Does this build resiliency? Will this be acceptable behavior in college, future jobs, or relationships? So how can educators Improve and cultivate resiliency? Students need to learn from an early age that the process of learning and trying is more important than the immediate outcome. Failure can lead to growth as long as one keeps on trying and refuses to settle for less. Think about people that have failed the LSAT, GRE, MTEL, or other exams but worked harder and finally passed them. Those that fail after several tries can be proud of their effort but then must pick themselves up and move in another direction. What other positive options do they have? As a school administrator, one thing is clear to me, we all have to work together and be on the same page to improve student growth and outcomes. Teachers, students, parents, and administrators all have an important role to play and consistency and follow through is key. Work together and support each other to teach students resiliency and don’t give in and bend every time a student complains or doesn’t want to work hard. My parents, teachers, principals, and coaches sure didn’t make it easy for me, and I appreciate them very much for pushing and encouraging me while being there to help when I took a step back. Don’t we owe this to our students as well?